Today we are introducing a space rover prototype developed by a group of bright engineers from the University of California, San Diego (UCSD). 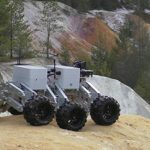 The main rover that the team is currently developing is designed to be autonomous for all-terrain exploration. Device Plus has set out to reach out to more than 100 of the top US colleges and universities in the hope of fostering student innovation by sponsoring projects that lack the funding or resources to pursue. Device Plus is currently offering a Hardware Sponsorship Program and is looking to collaborate with active student engineering organizations to build our “Connect” section. Please contact us for more information about this opportunity at info@deviceplus.com! Yonder Dynamics is an undergraduate student robotics organization at UC San Diego. 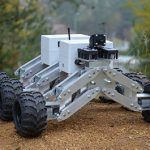 We started last summer with the goal of pursuing a variety of projects within the field of autonomous robotics, which we believe is the future of everything from transportation to agriculture to medicine to space exploration. Our main goal now is to compete in the University Rover Challenge in June 2017, the largest international rover competition open to undergraduate students. We plan to be the first team in the competition’s history to field a fully autonomous rover (no human control required). We think this competition will be a great chance to demo our technology and meet other people in the field. 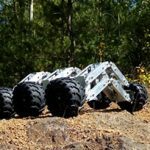 One of our inspirations is the company Boston Dynamics, which makes impressive all-terrain robots. 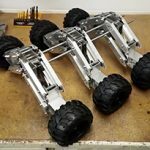 Currently, our team is building a completely autonomous rover for all-terrain exploration. 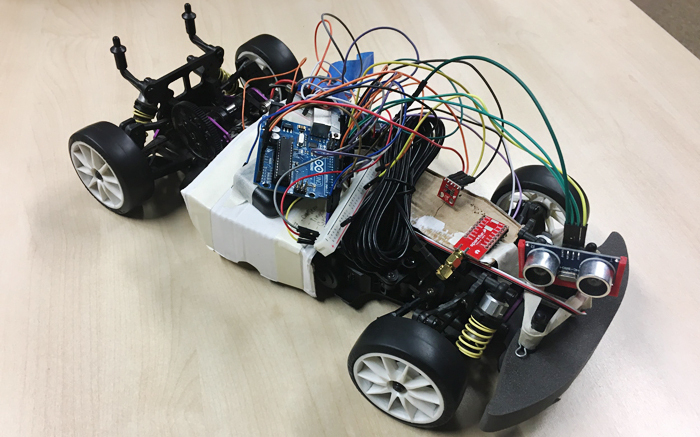 This Space Rover Testcar is a low-cost platform that we can use for developing our software and control systems, while the main rover body is constructed. So far, we have implemented computer controlled driving and automated rangefinding, and will move on to implement various ROHM sensors in combination with our XBee Transceivers to test the communication devices and protocols that will later be featured on our rover in the University Rover Challenge. We wanted to test the maximum performance of our XBee transceivers while getting real-time data from the ROHM sensors. The Testcar just captures the sensor data for testing purposes, but the competition rover will use these sensors to aid in its autonomous navigation systems. 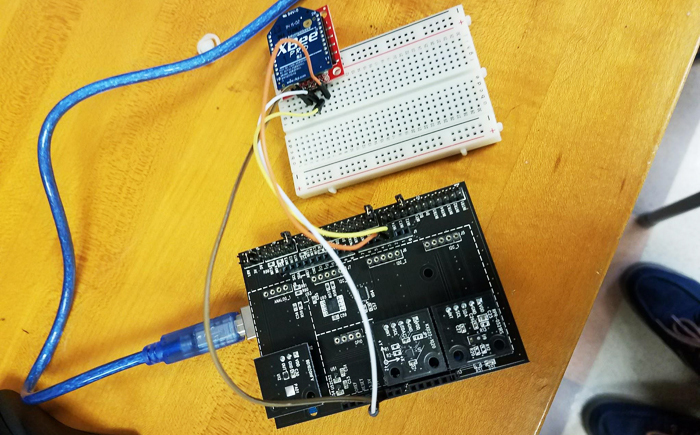 The ROHM Sensor Evaluation Kit is an Arduino-compatible development kit that allows users to quickly add any of a variety of sensors to their projects. Its straightforward layout and compact design makes it a great prototyping tool for both beginner and advanced Arduino enthusiasts. 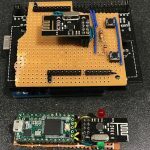 For a guide on how to setup the sensor shield and connect to Arduino, please refer to the previous article ROHM Sensor Evaluation Kit Overview! 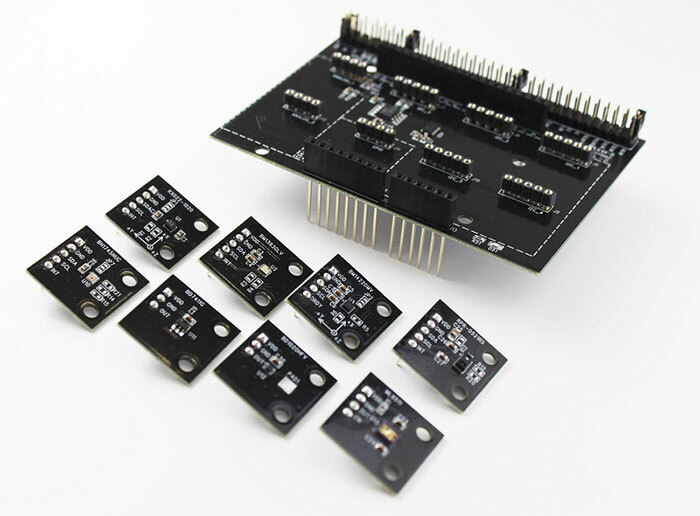 The Sensor Evaluation Kit comes with the Sensor Shield and 8 different ROHM sensors: an accelerometer, a barometric pressure sensor, a geomagnetic sensor, an ambient-light/proximity sensor, a color sensor, a hall-effect sensor, a temperature sensor, and an ultraviolet light sensor. The website, http://www.rohm.com/web/global/sensor-shield-support, provides detailed documentation about the sensor shield and each of the sensors, along with links to downloadable Arduino libraries for the individual sensors. The user manual for the kit, which comes in the box and can also be found on the website, and it provides instructions on using the sensor shield with the sensors. The Testcar will incorporate three sensors from ROHM – an accelerometer, a proximity sensor module, and a temperature sensor. In a subsequent update, we will show how these sensors are used to help the rover navigate. For now, they will just be attached to the Testcar and checked to confirm that we are receiving data properly. 1. Attach sensors to the board provided. The ROHM sensor kit includes a board that all of their sensors can be attached to. This can be done easily using the included instructions. This board is then connected to the matching port on our Arduino for access and control, along with a basic Venus GPS for navigation and the Xbee Transmitters to control the car (shown below). 2. Sensor Testing using the ROHM libraries. 3. XBee testing using sample XBee code – the XBee is set up on a standard breadboard. 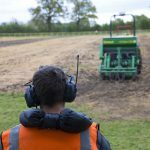 The XBees are a basic and low-cost transmitter that (like the ROHM products) comes with sample code that makes them easy to use. After setting up the transmitter on a standard breadboard and plugging into the Arduino, we can install the packages and are ready to go. Figure 2. XBee setup on breadboard, connected to Arduino. 4. Modification of XBee code to incorporate ROHM sensor libraries. 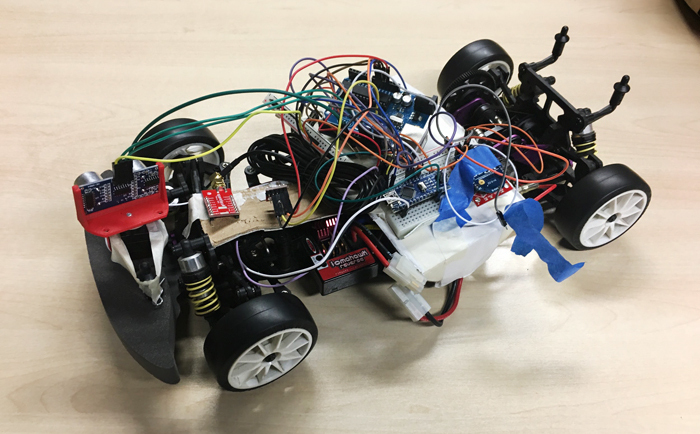 This is pretty straightforward – the XBee standard code has built in signals for tasks like controlling the car. We just added a connection to the code provided by ROHM so that we can talk to it remotely. 5. Attach to RC Car. This will depend on your car. In our case, we jerry-rigged a platform out of cardboard and tape. 6. 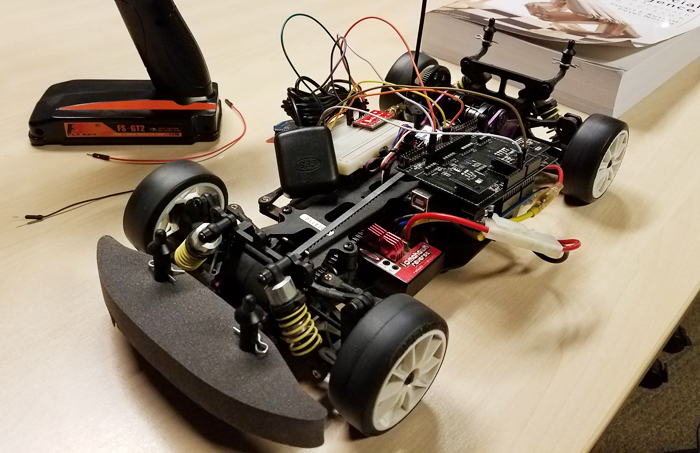 Get real-time data from RC car as it drives away! We’ve included a few more components, such as HC-SR04 Ultrasonic Sensor and HC-05 Bluetooth module. Our project is constantly evolving and the team has been working on further modifying the car for additional features and functionalities. The ROHM sensors all work well, and we are excited to incorporate them into our upcoming rover prototype. Everything went smoothly with our testing on this platform, so our next step is to add functionality to the Testcar so that it can autonomously navigate a maze. This will involve the addition of an additional rangefinder as well as connecting sensor data to a neural network, allowing the car to become fully autonomous. Stay tuned! Device Plus is looking to collaborate with active student engineering organizations and labs. For more information about our Hardware Sponsorship Program, please contact us at info@deviceplus.com!